Sculpture of St. Brigid by artist Tim Schmalz was commissioned by Fr. Dennis O’Neill St. Martha Catholic Church in Morton Grove (a northwest suburb of Chicago), Illinois, USA. The sculpture is to commemorate the 20th anniversary of the relighting of the flame of St. Brigid in 1993 by the Brigidine Sisters and in memory of his parents, aunt and uncle. The sculpture will be situated in the new Solas Bhride Centre and Hermitages in Kildare town and will be a source of inspiration to pilgrims and visitors. Construction for the new Centre begins in February 2013 and it is hoped it will open in early summer 2014. 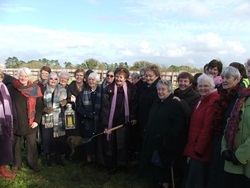 The sod turning ceremony took place on Friday, February 15th. We welcome bookings from individuals and groups who may wish to organise a pilgrimage in the footsteps of Brigid of Kildare. The commencement of construction of the new Solas Bhride Spirituality Centre and Hermitages in Tully, Kildare town, was marked today, February 15th, 2013, by an official turning of the sod ceremony, by Rita Minehan, Brigidine Sister and overall Co-ordinator of the Project, alongside the Finance Committee the Project Team, Brigidine sisters and the local community. Also in attendance were Mr. Michael Malone, County Manager, Mr. Chris Byrne, Chairperson Kildare Leader Partnership and other public representatives. The ceremony was marked by music and the weaving of a St. Brigid’s cross into which was woven a flavour of the history of the project and words of gratitude for those involved. The cross will be placed in the foundations of the new building. This was followed by a blessing of the site. The new Solas Bhride Centre and Hermitages, which is expected to attract over 15,000 pilgrims to the area by 2015, “will be a wonderful facility for the people of Kildare and the many pilgrims/visitors who come from all over the world,” said Ann Riordan, member of the Development Team. The vision of the Centre which is “to unfold the legacy of St. Brigid of Kildare and its increasing relevance for our world” is a continuation of the work of the small Brigidine community in Dara Park, Kildare town. The Brigidine Sisters, set up a small Christian Centre for Celtic Spirituality in a house in Kildare town in 1992. 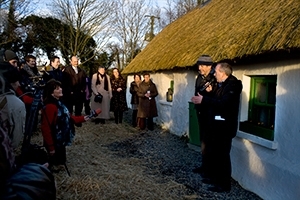 The Centre has become a popular destination for the many pilgrims and visitors, local, national and international, interested in the traditions, values and customs associated with Brigid of Kildare. The growth in numbers of pilgrims/visitors each year has created an urgent need for a larger centre and hermitages. In response to this demand, the Brigidine Sisters, purchased a site in 2007, secured Planning Permission in 2009 and created a €4.00 million Development Plan for a unique ecologically sustainable Centre and Hermitages. A Development Team including men and women from Kildare and beyond has worked in partnership with the sisters in designing and promoting the new Centre and Hermitage. 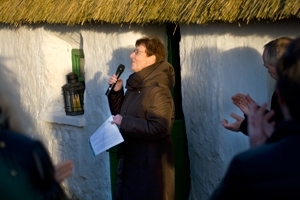 Speaking in Kildare town at a Launch in Owens Cottage, Tully on Lá Fhéile Bhríde, St. Brigid’s Day, Sister MarySpeaking in Kildare town at a Launch in Owens Cottage, Tully on Lá Fhéile Bhríde, St. Brigid’s Day, Sister Mary announced that a weeklong event will be hosted in the environs of Kildare town in September, based on the concept of “Gathering at the Hearth” – welcoming people to gather around the flame of Brigid, which was relit in Kildare town twenty years ago this month. The Gathering Ireland 2013 is a Government initiative. 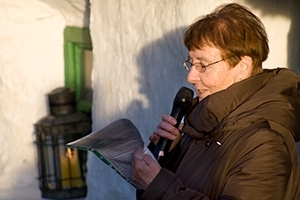 At a meeting in the County last year to promote the Gathering many groups present suggested that the heritage of St. Brigid should be celebrated at a Gathering event. Solas Bhride in conjunction with local community groups submitted a proposal to host a Brigid Gathering event in Kildare town in September. We were delighted that the proposal was accepted and generous Government funding was provided for same. 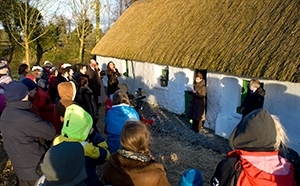 The event hopes to attract between 600 and 800 visitors to Kildare to celebrate the story of Brigid, ranging from people around the world who have an affinity with St. Brigid through schools, churches, parishes, associations, place names … to visitors from other parts of Ireland and overseas. There will be a special céad míle fáilte to those who are named Brigid or who have variations of the name. So all the Brigids in the world will be invited back for the celebration! Already groups from Europe, the US, Canada and as far away as Australia have expressed interest in the attending the celebration. The celebration will run from Sunday, 15th September to Saturday, 21st of September. In the coming months Solas Bhride will be partnering with a wide variety of Community groups, schools and overseas interests in creating a wonderful programme of events. an attempt to make the Guinness Book of Records by having a very large number of people weaving St. Brigid’s crosses in the same place at the one time. So if you want to make it you better start practicing now with the rushes! 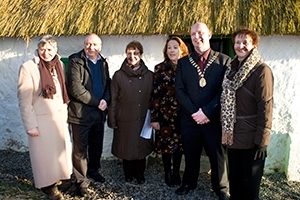 “We are delighted with the enthusiasm expressed for the Brigid Gathering Celebration and we know it will be a tremendous success in bringing people to Kildare town and keeping the heritage of Brigid alive,” said Mario Corrigan, Chairperson of the Heritage Committee, Kildare town. He acknowledged the support of local businesses, the Chamber of Commerce, the National Stud and the Heritage Centre as well as Kildare County Council, County Kildare Leader Partnership and other agencies for the event. Féile Bride was once again very successful this year with all events being very well attended. Padraigin Clancy’s presentation on our three patrons, Patrick, Brigid and Columcille, at the Annual Celtic Lecture was inspirational and she left her audience enthralled and looking for more. The lecture was sponsored by the Kildare Education Centre. The Afri Conference had a new venue this year – the Osborne Centre at the Irish National Stud – and over 100 people attended. the Curragh of Kildare and pointed out some of its special features on our field trip. Tom Roche, was passionate in his presentation on trees and the importance they play in our lives, as well as the urgent need to conserve our forests and develop a policy of planting native species. 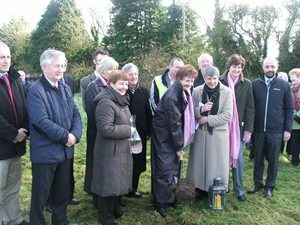 Joe Murray, Director of Afri helping to plant a tree in the grounds of the Irish National Stud during the conference. Michael Jacob talked about the formation of the Curragh as well as its special flora and fauna. The walk also included a visit to a stable training yard, telling the story of the Curragh wrens and the military history of the Curragh Camp. 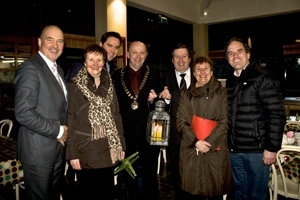 It concluded with the Launch of the Brigid Gathering event for Kildare. Sr. Mary Minehan carries in the Brigid flame at the beginning of the workshop. Between Kildare and the nearby town of Newbridge lies an extensive tract of flat unenclosed grassland called “The Curragh”. This beautiful stretch of land, with its soft springy grass, is known as Brigid’s Pastures. The flat pasture of nearly five thousand acres still retains the right of commonage for grazing sheep which originated with Brigid. It is a place to explore, containing large numbers of ancient earthworks. The Curragh is the headquarters of the Irish horse racing industry. The walk on St. Brigid’s Day will touch some of the aspects of The Curragh’s rich history as well as providing a glimpse into the living life on Brigid’s pastures. Time: 12.30 p.m. – 4.30 p.m.
Booking is recommended. Tickets available through the Heritage Centre, Kildare Town. The Final Fundraising Drive and Project Business Plan for the new Solas Bhride Centre and Hermitages was officially launched by renowned singer Eimear Quinn on Friday, September 30th in the Irish National Stud. Eimear is renowned for her Eurovision Song Contest win in 1996 with Brendan Graham’s ‘The Voice’ as well as for her albums ‘Gatherings’ and ‘O Holy Night’. 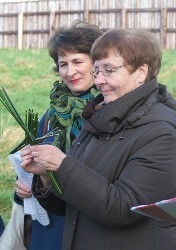 After formally welcoming all present Sr. Mary wove a St. Brigid’s cross while Sr. Phil recalled some significant moments of Solas Bhride since the Brigidine sisters first set up a small Christian Centre for Celtic Spirituality in Kildare in 1992 and she outlined the reasons why there is a need for the new Centre. From early days pilgrims/visitors began to arrive at the small Centre Sr. Phil said, “seeking to find out more about the spirituality of Brigid of Kildare and asking to be led in pilgrimage to the sites associated with her. We are amazed at the variety of people of all faiths and none who come to our door from all over Ireland and almost every country in the world searching for spiritual nourishment for life’s journey.” As Mary wove the final rush into the cross Phil stated that it represented the new Solas Bhride Centre and Hermitages which is needed to consolidate the past and shape the future. Michael Haslam, a Partner in Solearth Ecological Architecture, gave a brief presentation on the design of the new Centre which is inspired by the evocative imagery of St. Brigid’s legacy and legends and is centered on ecological concerns. Ann Riordan, Chairman of Tourism Ireland, the Dublin Regional Tourism Authority and the National Standards Authority of Ireland, and a member of Solas Bhride Centre and Hermitages Development Team in speaking to the Business Plan, stated that great encouragement can be taken from the fact that in the region of 70% of the necessary funding is already in place. She thanked all those whose efforts and generosity have raised €2,820,000 to date – the Brigidine Congregation, Individual and group donations, the Community of Kildare, Friends of St. Brigid, the sponsor a ‘brick’ campaign and Capital grants. She then went on to state that the Fundraising Target was now €1,050,000. 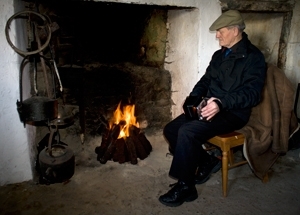 In order to commence development on February 1st 2012, €500,000 is required before the end of 2011 with a further €500,000 needed by September 2012. Officially launching the Business Plan Eimear QuinnIn officially launching the Business Plan Eimear Quinn, spoke about the inspiration St. Brigid has been for her in her life and how she felt privileged to have been invited to launch the Plan. She stated that what she really liked about the Business Plan was that it retained its ethos, remained true to the core values of the spirituality centre, while at the same time presenting a very professional business project. She said a “Centre such as this is needed more than ever in our world today.” She complemented the Brigidine sisters and all associated with the project and wished it every success in the future. After formally launching the Final Fundraising Drive and Project Business Plan, Eimear delighted all present with a beautifully chant written by Hildegard of Bingen. Sr. Mary thanked each one for their support and all those who had made the Launch so successful especially Mary Kane, County Kildare Leadership Partnership for her invaluable support in helping draw up the Business Plan and John Osborne, Manager of the Irish National Stud, for providing the lovely setting for the launch.